Enjoy this free download of Dukh Par Har to get you started on your own path from Pain to Peace. Sign up now for The Complete Course of Ayurveda online with Jai Dev Singh! 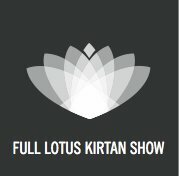 Don’t miss Full Lotus Kirtan today at 2pm EST as Blake Tedder interviews our own Hargobind Khalsa. Happy Free Music Friday!! Today’s free download is “I Am I Am” from the album Flow by Sat Kartar. Happy Birthday Deva Singh Khalsa!! The Spirit Voyage family wishes our dear Deva Singh Khalsa a very, very Happy Birthday today!